The view and closeness to the beach / sea. The apartment was clean and the bedding was change every other day. That beautiful view from big balcony, few steps to sea to swim every day, good taverns near and walking distance to Chania old town. We have been here several times and will come again. Basic apartment with all we need to make breakfast and to have a very good sleep. And very friendly owners and staff, thanks again - Efharisto Poli! We came again now for 4 days before flying home from Crete spring tour and felt like home again. That sea view, sandy beach, big balcony and short walking to mini markets, bakery and many good taverns. Chania center withing walking distance and Nea Hora Thursday market place. Now also very good wifi! Thanks and we will surely come again! Beds very comfy. Standard of cleaning was excellent. Great hygiene everywhere. Food very good. 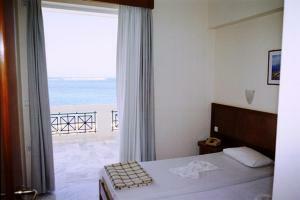 The position overlooking the beach was excellent and only a short walk into Chania old town and harbour restaurants. La gente que te hace sentir que no sos un extraño son un igual. Super amables. Dejlig lejlighed med en fantastisk udsigt til stranden og dens liv. Balkonen var dejlig ugenert - det nød vi. Ejerne mødte os med kys og kram hver gang vi så dem - og det samme gjorde Mirella. Håber vi ses til næste år. Superbe emplacement face à la mer, plage juste en bas et nombreux restaurants de poisson à proximité. Calme du quartier et véritable immersion chez les Crétois. 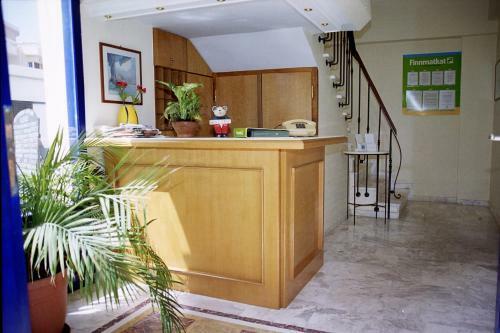 Appartement spacieux, lits faits tous les jours ! 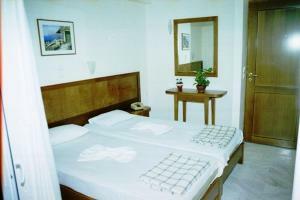 Lock in a great price for Nea Elena Apartments – rated 8.3 by recent guests! 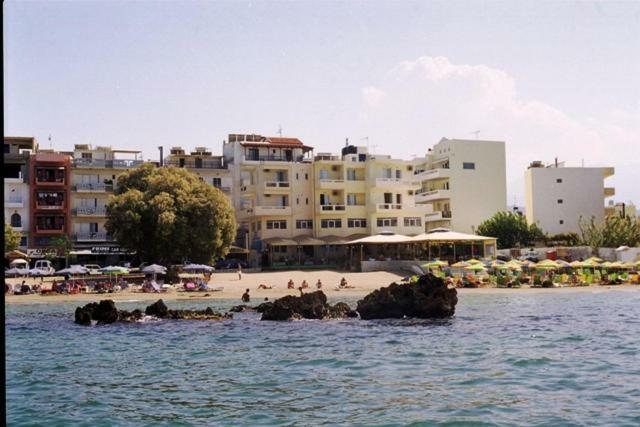 Right across the beach of Nea Chora, Nea Elena Apartments offers accommodations with kitchenette. 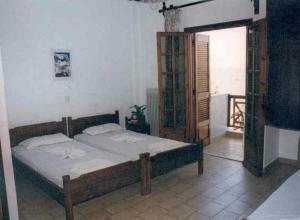 It has a restaurant and it is less than half a mile from the picturesque center of Chania. 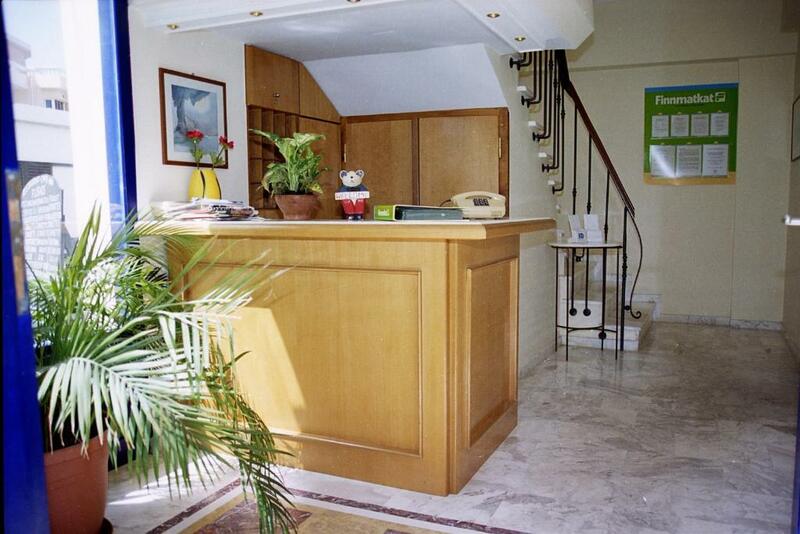 The air conditioned apartments of Nea Elena are simply furnished and feature marble floors. They include a dining area and a living room with satellite TV. 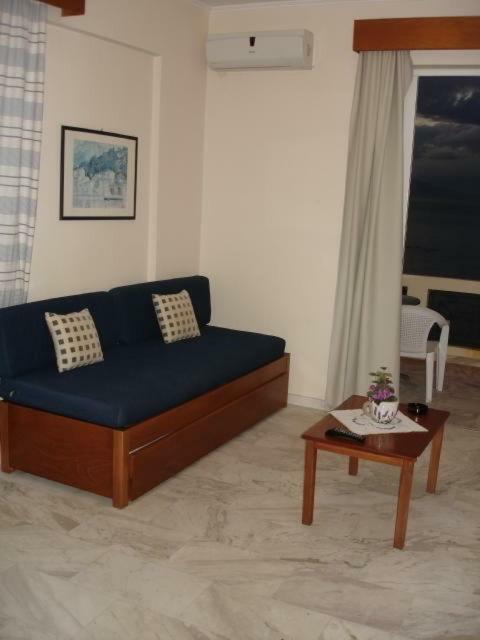 All apartments also have a balcony, some enjoying views of the Cretan Sea. At Nea Elena restaurant, guests can taste Greek and international cuisine. The hotel also has a bar serving drinks and cocktails. The hotel serves as an ideal base for exploring the beaches of North Crete, such as Platanias, located a 20-minute drive away. Chania Airport is 9 miles away. Free parking is available nearby. 뀐 Located in the top-rated area in Chania, this property has an excellent location score of 9.1! When would you like to stay at Nea Elena Apartments? House Rules Nea Elena Apartments takes special requests – add in the next step! Please note that free access to the playroom featuring a pool table, computers and table tennis is provided. There was no name on the apartments, we had to ask where they were, also there was no receptionist so we then had to find someone with a key. When we were shown the apartment we were surprised how big it was and the view from the sea facing balcony was spectacular. 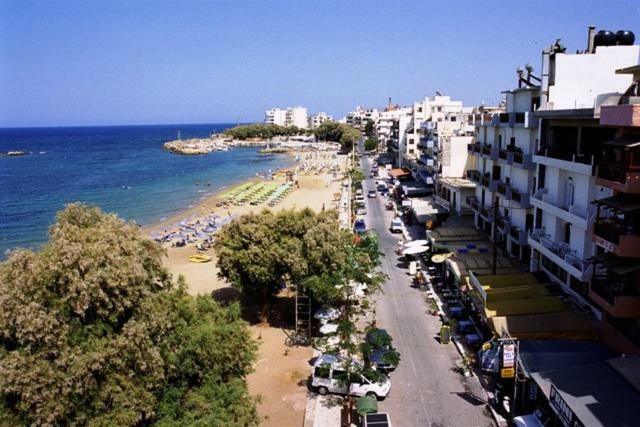 the main downside was that there was major construction works to the whole promenade area from 7:30 am through to 10:45 pm which had a serious impact on the beach facing restaurants and tavernas. The whole of the promenade at the Nea Chora Beach was blocked off to traffic which why we had trouble finding the Nea Elena Apartments. We were there for 16 dusty dirty noisy days and nights. If we booked this through a travel agent we would have complained and moved! 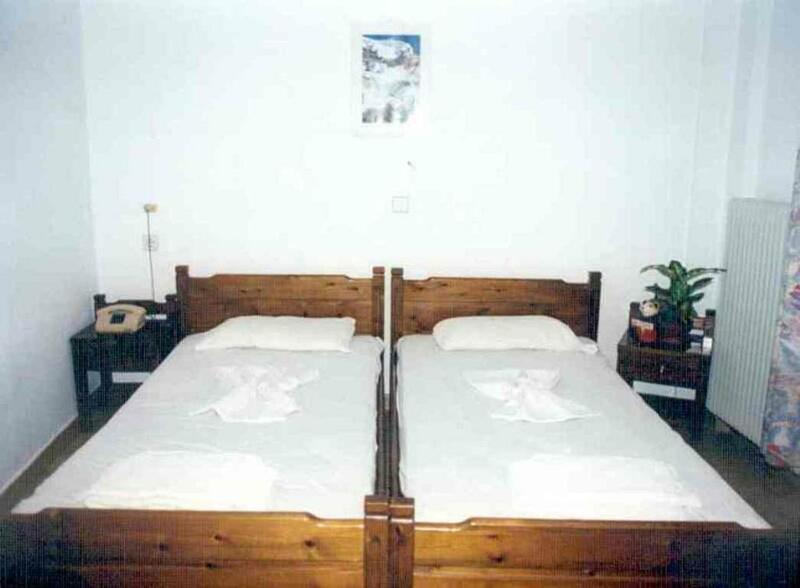 However we stayed, the apartment were cleaned quite effectively and the bedding changed every other day, the cleaner was very good at her job and nothing was to much trouble for her. The facilities in the apartment were less than basic the bathroom was effectively a wet room with a shower basin in one corner without a shower curtain and nowhere to hang the hand shower! The storage space was limited to a wardrobe and three tiny drawers (only good for storing your mobile phone). The kitchen consisted of a two ring electric hob and fridge. No kettle (we had to purchase one at a near by super market) and no toaster, the utensils were limited to a frying pan and a 20 cm saucepan, knives, forks and spoons. There was no spatula (we had to purchase one from the local market). There was a television but it did't work when we informed the owner he did come and try to get it to work but to no avail so he took it away to be repaired, we never saw it again. The Nea Elena Apartments are about twenty minutes walk from Chania, the old town Chania was where we spent most of our time there. TV did not work. There was no kettle nor bread knife. The location. Wiev from balcony to the sea. Good location of the property!! 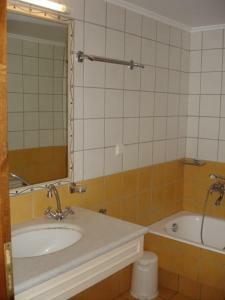 The supply of cutlery etc was fairly basic and a shower curtain would make showering easier.